 The Queensland Beach Volleyball Tour (QBVT) is the highest level of beach volleyball in the state, providing a competitive environment for QLD’s elite and developing athletes. Hosted by a range of venues reaching from the Gold Coast to North Queensland, the Tour showcases the sport to audiences across Queensland. Membership: Athletes competing in Open/Premier divisions must be current full members of VQ. Athletes competing in Challenger/Junior divisions must be current recreational members. For athletes competing on an irregular basis, a Tournament membership is also a valid option. *Divisions offered at each QBVT event vary depending on the competition format. Divisions include Open, Premier, Challenger, Junior (born 2001 or after). ^The price for each QBVT event is set by the respective Promoter. Entry fees typically range from $50 – $100 per team. A note for Junior teams: Teams entering the Junior division may register a team of three players and be on the court if all members are under 15 years of age (born in 2005 or later) for the QBVT 2018/19 season. If one or more player/s are born in 2004 or earlier, the team can is limited to registering two players per team.